The full changelog is far too long to insert here, but an abridged version is below. Suffice it to say, developer Tiny Solutions has been quite prolific. Note that MP4 cloud recording support was first introduced in v8.0, so the FTP support for MP4 recording is now in addition to the other supported methods such as Google Drive, Dropbox, OneDrive, ownCloud/Nextcloud, etc. - Added Android 8.0 adaptive icon, notification channels, PiP mode. - Added MP4 recording to FTP server. - Added 'Webhooks on motion' in Camera Settings - Motion Detection, e.g. for IFTTT integration. - Added 'Autoupdate remote IP address' in Camera Settings - Advanced Settings. - Added 'Record audio' in background mode options. - Added reporting Foscam cameras vulnerabilities by network scanner. - Added Swedish and Chinese Traditional translation. The new support for Android 8.0 features will actually be quite handy, as the PiP mode provided in Oreo is a perfect fit for security camera monitoring. If you are lucky enough to be running the latest version, now you can still keep an eye out for a napping baby while you enjoy a quiet break and catch up on Twitter or reddit. The Webhooks on motion might end up being the single most useful feature for those of us into automation, though. Now you can set up notifications and triggers in IFTTT based on motion events, giving you some extra peace of mind while you're otherwise busy. It's a bit complicated to set up, but nothing too difficult. We love our tinyCam Monitor here at Android Police, and for good reason. There aren't a lot of good services for CCTV and even fewer that manage to bring a decent UI to the table. But, tinyCam Monitor is one of them. So if you have a network camera system installed and haven't taken the tinyCam plunge, you might want to pick up this latest version and give it a try. 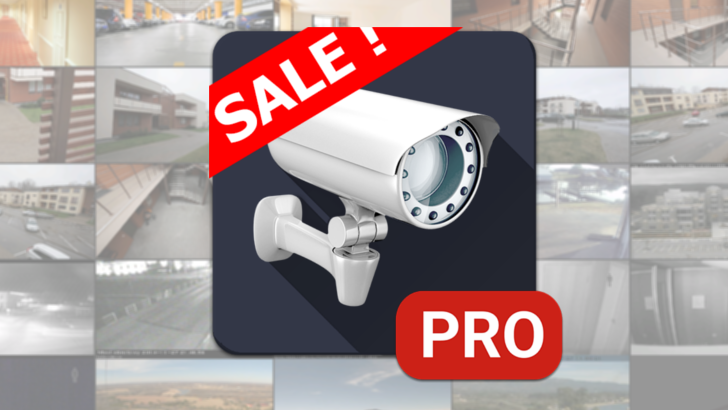 If the $1.99 price for the PRO version is too rich for your blood — tinyCam PRO does provide a lot of the features that a solution like Nest Aware does at a mere fraction of the cost— you can also give the free version a try. It's ad-supported and missing a few features the PRO version has, but it's a good way to try it out.